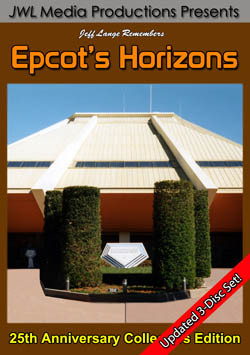 Jeff Lange presents this all-new DVD from the 2018 Mickey’s Not-So-Scary Halloween Party at Walt Disney World! 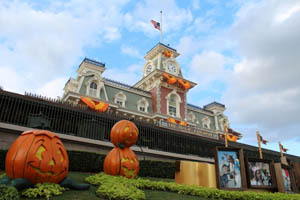 It’s really “Not-So-Scary” as you enter the Magic Kingdom for your Mickey’s Not-So-Scary Halloween Party night! After donning your Party wristband, it’s time to pick up a map and treat bag. 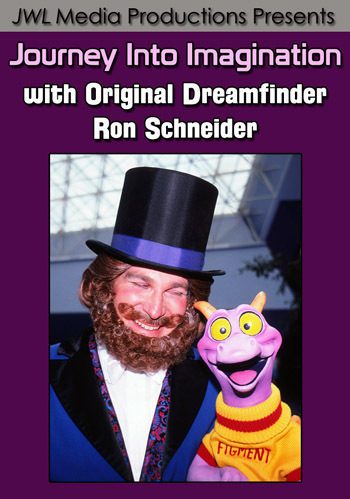 Once inside the park, you stop for a Sorcerers of the Magic Kingdom card (it’s included!) and your first treats in the bypass behind Main Street. You also take a look at the exclusive decorations and photo opportunities here. Next, your first meet and greet is with the immensely popular Jack and Sally in Liberty Square. You follow up with the Seven Dwarfs, Minnie, Donald & Daisy in Storybook Circus and Elvis Stitch in Tomorrowland! Exclusive for Mickey’s Not-So-Scary Halloween Party is an overlay of the Mad Tea Party with special lighting and music! You also see the Queen of Hearts with Tweedle Dee and Tweedle Dum, who are out greeting guests. 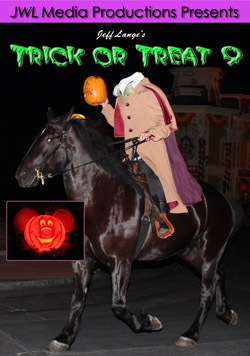 “Beware, the Headless Horseman is here!” proclaims the announcer as the famed rider from Sleepy Hollow emerges from the darkness holding an illuminated jack-o-lantern in his gloved hand. The Zootopia Party Patrol precedes Mickey’s Boo-to-You Parade with Nick Wilde and Judy Hopps entertaining the crowd. Soon, the first characters for the parade – including Alice, Mad Hatter and Dopey – arrive with Halloween masks in hand before Mickey proclaims, “Happy Halloween everyone!” Returning favorites include the grave diggers, ballroom dancers and a multitude of Disney characters. New for 2018 is Tinker Bell on a treasure chest, Clarabelle Cow in a new costume and Flynn Rider with Rapunzel! Your “Ghost Host” guides you through this feast of sights and sounds, as vibrant bursts of color combine with dazzling projections to light up the night. These Party exclusive fireworks are not a trick, but a spooktacular Halloween treat! The Sanderson Sisters return to the mortal world for one mischievous Halloween night. This vibrant show includes Dr. Facilier, Oogie Boogie, Maleficent, Lady Tremaine and other villains bringing gifts for the special Party potion! 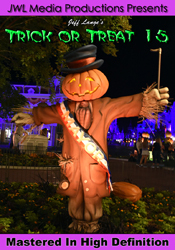 End your night with trick or treating and a look around the park. The Haunted Mansion never looks spookier than at Mickey’s Not-So-Scary Halloween Party! Projections liven up the entrance to Tomorrowland, and you stop at a couple of trick or treat locations including inside Mickey’s Philharmagic. You end the night on Main Street U.S.A., taking in all the Halloween decorations and gorgeous lighting that comes with Mickey’s Not-So-Scary Halloween Party! Hop in your Doom Buggy and let Jeff Lange be your ultimate Ghost Host with “Jeff Lange’s Trick or Treat 15”! Seasons Greetings from Jeff Lange! Celebrate the holidays with this new DVD featuring the 2014 Mickey’s Very Merry Christmas Party at Walt Disney World. Your Very Merry Christmas Party begins as you receive your Party wristband, which allows for a whole evening of fun in the Magic Kingdom! Christmas decor, including a festive floral Mickey head shaped like an ornament, sets the mood for a perfect night. We meet Jack Skellington as Sandy Claws; Donald, Daisy and Scrooge McDuck at the entrance to Storybook Circus; and Minnie Mouse in her new holiday costume. We stop for cookies and hot chocolate as your very merry night begins! “Cinderella’s Holiday Wish” of previous years has made way for Anna, Elsa, Olaf and Kristoff to add their own twist on the Cinderella Castle lighting in “A Frozen Holiday Wish”. Visiting from Arrendelle, Olaf wonders if there is anyone who can light the castle. With some nudging, Elsa uses her “fractally powers” to bring ice and snow to Cinderella Castle. This is Olaf’s debut as a walk-around character at Walt Disney World! “Have Yourself a Merry Little Christmas” as you enjoy this holiday tradition from the best parade spot in the Magic Kingdom, Christmas Tree Point! Mickey proclaims “It’s my favorite time of year” as he joins Minnie and Duffy atop a Christmas tree float. New for this year is “Frozen”, with Anna and Elsa in a horse-drawn sleigh followed by Olaf and Kristoff on floats. Wreck-It Ralph and Vannelope also make their Christmas parade debut! Perennial favorites include the gingerbread men, reindeer, toy soldiers and Santa Claus himself! The holiday segment of the new “Celebrate The Magic!” projection show features Cinderella Castle as a large gift just waiting to be unwrapped! Once the gift opens, the castle is shown in various forms – including as a gingerbread house, the Walt Disney World 25th Anniversary castle cake, and you’ll even catch a glimpse of Santa and his reindeer! This fireworks spectacular lights up the sky over the Magic Kingdom and Cinderella Castle. The show is a combination of six “acts”: The Spirit of the Season, The Spirit of Holiday Wonder, The Spirit of Sharing Hearth and Family, The Spirit of Holiday Childhood Fantasies, The Holiday Spirit in Each of Us, and Christmas All Around Us! Experience all it’s splendor from multiple angles including from atop the Railroad Station. The Castle forecourt is never as festive as during this “joyous celebration” that features some of your favorite characters! Goofy dresses as Santa, and Minnie gets to open the present that Mickey gave her (he even dresses as a Nutcracker soldier). Sing along to jubilant Christmas carols in a segment which culminates in an explosive ending. Recorded from multiple angles. Space Mountain glows green and red, and snowflakes greet you at the entrance to Tomorrowland. Take a last walk down Main Street, delighting in the windows that include Mickey, Minnie and even Daisy in her Mickey’s Very Merry Christmas Party costume. You linger in Town Square, enjoying the view of Cinderella Castle bathed in ice through the two toy soldiers. Your Mickey’s Very Merry Christmas Party comes to an end with a glance at the Main Street Train Station, with small Christmas trees lit for the season. 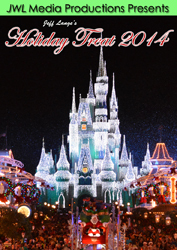 Pick up a copy of “Jeff Lange’s Holiday Treat 2014” today and relive all the magic or experience it for the first time. Seasons Greetings from Jeff Lange! Celebrate the holidays with this new DVD featuring the 2013 Mickey’s Very Merry Christmas Party at Walt Disney World. Your Very Merry Party begins upon entering under the new “Welcome” banner for 2013. Mickey is a festive red Christmas ornament in front of the Main Street Train Station! Once inside, enjoy the sights and sounds of the Christmas season. 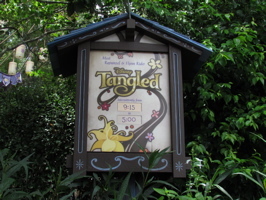 Meet characters such as Minnie Mouse in Fantasyland, Scrooge McDuck with Donald and Daisy in Storybook Circus, and the Seven Dwarfs all together in Fantasyland. Mary Poppins and Bert join the penguins near the Prince Charming Regal Carousel! Enjoy holiday treats and colorful lighting projections around the Magic Kingdom. The Christmas Castle Dream Lights have been delighting audiences each Christmas season since 2007. Mickey, Minnie, Goofy, and Donald gather together with the Fairy Godmother, trying to figure out how Cinderella Castle should be decorated. Cinderella and Prince Charming soon appear, and Cinderella’s wish of a castle that resembles her sparkling slipper is brought to life! “Have Yourself a Merry Little Christmas” as you enjoy this holiday tradition from the best parade spots in the Magic Kingdom, at Christmas Tree Point and atop the Walt Disney World Railroad Station! The character-filled procession glides toward you, with Cinderella Castle shimmering in the background. A gentle snow heralds the start of the parade, as character favorites including Mickey & Minnie, Goofy, and Chip & Dale greet you! Newly designed prancing reindeer, along with marching soldiers, gingerbread men and the big man himself – Santa Claus – round out this holiday classic. This fireworks spectacular lights up the sky over the Magic Kingdom and Cinderella Castle. The show is a combination of six “acts”: The Spirit of the Season, The Spirit of Holiday Wonder, The Spirit of Sharing Hearth and Family, The Spirit of Holiday Childhood Fantasies, The Holiday Spirit in Each of Us, and Christmas All Around Us! Experience the 180 degree fireworks finale in all it’s splendor, recorded from multiple angles. The Castle forecourt is never as festive as during this “joyous celebration”! Mickey presents a lovely gift to Minnie, and even appears as a Nutcracker soldier! Goofy, Pluto, Donald, Chip & Dale and other favorite characters are part of this lively show – including new reindeer! Sing along to jubilant Christmas carols in a segment which culminates in an explosive ending. Recorded from multiple angles. 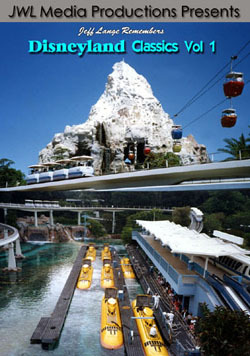 Large projected snowflakes sparkle off of the rocks in Tomorrowland and on Space Mountain! Enjoy a final walk down Main Street U.S.A, where window displays and beautiful lighting envelop your senses. You’ll take a lingering look back through the Christmas trees in Town Square at the Cinderella Castle dream lights. Your Very Merry night concludes with a stop in front of the Main Street Station, which is lit up magnificently for the Party! 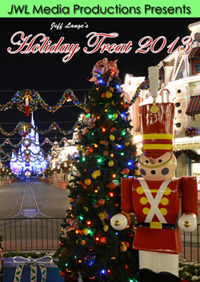 Pick up a copy of “Jeff Lange’s Holiday Treat 2013” today and relive all the magic or experience it for the first time. Your Very Merry evening begins upon entering under the new “Welcome” banner for 2012. Mickey sparkles as a Christmas ornament in front of the Main Street Train Station! Once inside, enjoy the sights and sounds of the Christmas season, stop to meet Mickey & Minnie in their holiday finest, followed by a visit with Scrooge McDuck in Fantasyland. Cinderella and Prince Charming are part of a meet-and-greet lineup which also includes Lady Tremaine, Drizella and Anastasia! “Have Yourself a Merry Little Christmas” as you enjoy this holiday tradition from the best parade spot in the Magic Kingdom! The character-filled procession glides toward you, with Cinderella Castle shimmering in the background. A gentle snow heralds the start of the parade, as character favorites including Mickey & Minnie, Scrooge McDuck, and Chip & Dale greet you! Prancing reindeer, marching soldiers, gingerbread men and the big man himself – Santa Claus – round out this holiday classic. The Castle forecourt is never as festive as during this “joyous celebration”! Mickey presents a lovely gift to Minnie, and even appears as a Nutcracker soldier! Goofy, Pluto, Donald, Chip & Dale and other favorite characters are part of this lively show. Sing along to jubilant Christmas carols in a segment which culminates in an explosive ending! Phineas and Ferb are back for 2012, greeting you in their Christmas hats and scarves! Festive lighting projections decorate the park, including on the exterior of Space Mountain and at the entrance to Tomorrowland. There’s time for a quick stop for holiday cookies and hot chocolate before you enjoy a final walk down Main Street U.S.A. Window displays and beautiful lighting envelop your senses, and you’ll take a lingering look back at the beautifully lit Main Street Station as your Very Merry night concludes. 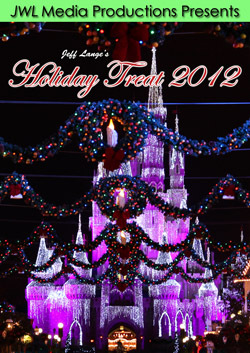 Pick up a copy of “Jeff Lange’s Holiday Treat 2012” today and relive all the magic or experience it for the first time. The eery sound of wind beckons you to enter through the turnstiles. Flames flicker in the windows of the Main Street Train Station, which is fully bathed in green and blue lights. It’s time to start our Not-So-Scary night – don’t forget your costume! New for 2012, there are two treat trails! Br’er Rabbit’s Laughing Place Candy Patch invites you to gather sweets at multiple stations, surrounded by pumpkin carvings that include Br’er Rabbit, Br’er Fox, and Br’er Bear! Delight in the Seven Dwarfs as Happy shows off his dance moves. Next to the new Casey Jr. Candy Junction in Storybook Circus, you’ll find Curious Candy Way, themed to the story of Alice in Wonderland. We’ll stop briefly to visit Phineas and Ferb next to City Hall, as well as Mickey and Minnie dressed in their Halloween finest. “It’s not so very scary” as many of your favorite Disney characters, from Mickey & Minnie to the Hitchhiking Ghosts, mix with Halloween themed floats that include a pirate ship, Haunted Mansion gravestones and more! The crowd-favorite grave diggers are back, dragging their shovels along the pavement as sparks fly! There is a new element for 2012 to the Pirates segment, and a costume change from previous years for the lead float performers. You’ll enjoy this unique parade for years to come! Your “Ghost Host” guides you through this feast of sights and sounds, as vibrant bursts of color combine with dazzling projections to light up the night.View the 180 degree fireworks finale in all it’s splendor, recorded from multiple angles. These Party exclusive fireworks are not a trick, but a spooktacular Halloween treat! This villainous dance show features bright costumes and energetic dance sequences! Dr. Facilier takes center stage for this show, with many of your favorite villains including Malificent, Cruella DeVil and the Queen of Hearts joining in the proceedings! Your Not-So-Scary night closes with a look at projections and lights around the Magic Kingdom, including a skull and crossbones on Big Thunder Mountain Railroad. Cobwebs and spiders seem to have taken over Tomorrowland, so watch your step! Stroll down a nearly-empty Main Street, stopping to admire the themed scarecrows in Town Square and the spooky window displays decorated for Halloween. Take one last look back at the fog-enveloped train station before exiting for the evening. Hop in your Doom Buggy and let Jeff Lange be your ultimate Ghost Host with “Jeff Lange’s Trick or Treat 9”! We had a great time attending the first Mickey’s Not-So-Scary Halloween Party of the season! We had been in California for 11 nights, and missed seeing the Halloween decorations as they were put up. 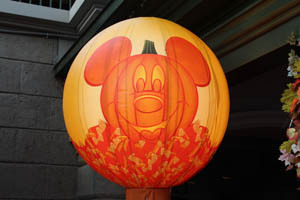 The pumpkins are back in front of the park (below, left), and new decorative lit inflatable balls have been added (below, right). These are in place of the white ones from previous years. 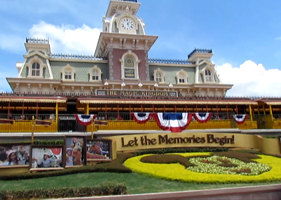 We paid two visits to the Magic Kingdom this weekend, you can see that Fourth of July banners have been added to some buildings (below, left). It’s very festive! On the other side of the spectrum, it was an emotional day for the last day of Flynn Rider at the Tangled Play & Greet (below, right).